Does back pain affect your ability to get through the day? Some of you may believe think it’s just a normal thing. I mean, you probably heard the statistics that say that over 80% of people will get some type of low back pain at least once in their lives. In this article, you’re going to learn that back pain is not normal, especially if you’ve had it longer than 3 months. You’ll discover the three most common treatment myths that may be keeping you from taking the first step towards recovery. I’ll also provide you the one simple solution, often overlooked, that you can use to begin to getting relief today. Myth #1: Believing that your MRI / CT Scan / X Rays will somehow show you exactly what is wrong with you. Medical technology is amazing. For low back pain, it can rule out serious things, such as cancer or fractures. For the rest of us, this technology can actually prevent you from improving. Heres why. Let’s say you get your results back. It may show you have a ‘disc bulge’, or ‘degenerative changes’. How do you think you’ll feel when you hear this? Over time, they begin to avoid the very treatments that are going to get them better. They begin to think that those ‘degenerative changes’ are not going to change, no matter what they do. However, they are all wrong. Here’s why. What you see on an X-ray or MRI may not actually be the cause of your low back pain. Studies have proven this to be true. Here are some examples. Don’t jump to conclusions if you get x-ray or scan results that ‘show something’. Talk to your health professional and ask them how sure they are that this is the real cause of your pain. Don’t let these findings limit what you do. If your therapist prescribes you exercises, don’t let the worry of these findings prevent you from trying your hardest to get better. In most cases of back pain, there is a very simple cause. It’s actually been found to be the cause of 63.5% of low back pain, even though most health professionals overlook it. (Ref 4)We’ll talk more about that after we talk about the next 2 myths. Are medications helpful? Yes. They’re effective in the short term, and when you’re experiencing enough severe pain that you have no other option. In the long term, there can be the risk of dangerous reactions, side effects and forming an addiction. Surgery is also seen as the last option for anyone with back pain. Did you know that out of 100 people that experience long term back pain, those that may require surgery is around 5 or less? So why do people continue to rely on these treatments? 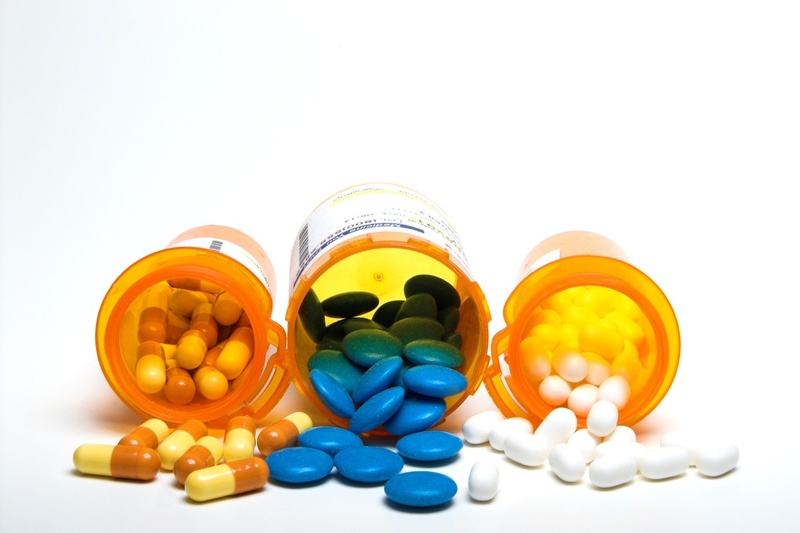 First of all, medication provides instant relief when anything else may not work in the short term. It’s often difficult to sacrifice short term pain relief for long term gain. With surgery, there’s a deadly combination of having those ‘abnormal findings’ on your MRI, and believing that surgery will fix that. Medication is good for short term, but not long term. 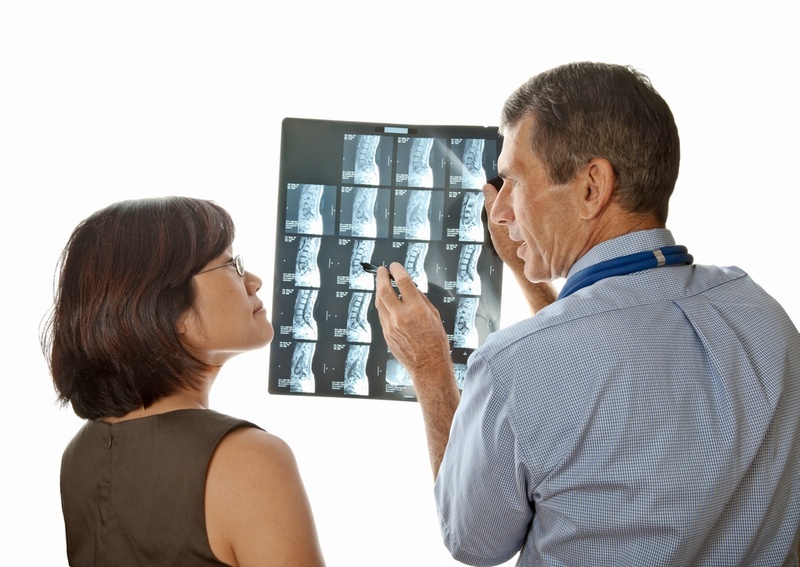 Surgery is required for only a small percentage of those suffering from low back pain. Unless your doctor is 100% sure about the need for surgery, it’s best to look for other treatment options instead of ‘hoping’ for a cure by surgery. So what may be causing your pain? If you’ve been ruled out for something more serious like having spinal cancer or fractures, most of your back pain may be coming from muscle pain. Muscle pain, especially from 63.5% of cases, comes from what we call ‘trigger points.’ They are also known as muscle knots. But how can muscle pain cause so much severe pain? They can actually cause pain that is severe, and pain that can radiate to other parts of the body. For example, a trigger point in the upper shoulders can actually radiate to the head, and mimic a severe headache. A trigger point in the low back or buttock area can mimic ‘nerve pain’ by radiating pain down into the legs. Now imagine if you had the disc bulge on an MRI and had pain going down the leg. You would instantly jump to the conclusion that you have ‘sciatica’ when in fact it could be a simple muscle knot that can easily be treated at home. But more on that shortly. 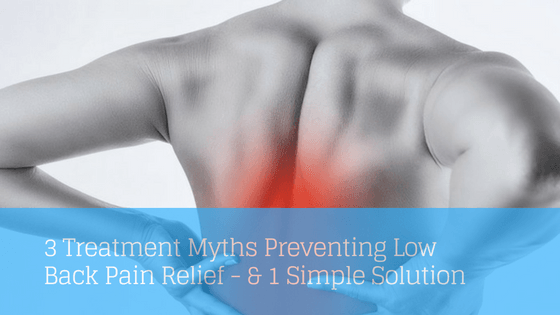 Myth #3: My Back Pain Is Mostly Due To My Bad Posture. I Need To Sit up Straight More Often. How many of you believe your back pain is caused by a bad posture? Do you spend a lot of time trying to correct your posture, sitting up straight, or finding various devices to help you sit up straight? Did you find it hard to try to ‘fix’ your posture? We were all taught from a young age to sit up straight in school. So it’s no surprise that we jump the conclusion that our bad posture is causing our back pain. It’s not the bad posture that is causing your pain. It most likely has to do with the fact that you sit in one position for a long period of time. Resolving this is actually easy. If you take a break every hour by moving or walking around for five minutes, there is a good chance that your pain will improve. Now that you know how these three myths may be preventing you from improving, what exactly can you do? That’s where treating trigger points (muscle knots) can come into play. Muscle knots are often overlooked and under-treated because most doctors and health professionals don’t have the necessary skills or education to diagnose and help treat pain from trigger points. Even though trigger points are under-treated, there are therapists out there that are quite experienced in this. Make sure you ask them if they have experience in treating trigger points, whether it’s a big part of their practice, and if they’ve undergone extra training. The only drawbacks of therapy sessions is that it can get quite expensive. You may also ask a partner or friend to help press into your muscle knots. The drawback is that they may not know exactly what they are doing, not pressing hard enough, or eventually begin complaining that their hands get tired too quickly. You can also use cane shaped massage tools that are specifically designed to help press into your knots. Although they are very popular, there can be some drawbacks. You can generally only target one muscle knot at a time. If you are using your hands to press into a knot, there are times when you may have to tense up to apply enough pressure. This can sometimes defeat the purpose of keeping your muscles completely relaxed when pressing into the knots. The Muscle Wizard was designed to overcome some of the difficulties and challenges that other tools and techniques had. 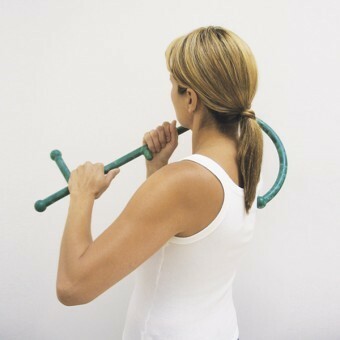 For one, you can actually target your upper shoulder and neck muscles hands-free. Simply use your thigh to direct the pressure on your knots. This allows you to be completely relaxed. You can also use it to target multiple knots at a time. The product contains 4 special knobs that can hit 4 knots at a time, especially across the low back. 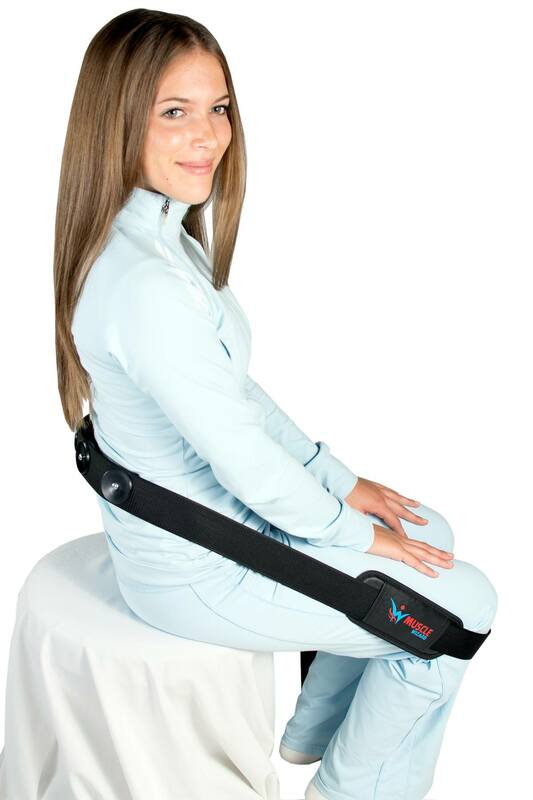 Another benefit is that you can use the Muscle Wizard sitting at your desk, lying down in bed, or even standing up. It’s versatile and can be carried anywhere. To learn more about how the Muscle Wizard can help with muscle pain, CLICK HERE.